Did your children remember to bring their manners to the Thanksgiving dinner table? If they need a little extra “polish” before the next family gathering, it might be a good idea to sign them up for an etiquette class where they’ll hone their manners and learn new skills to make you proud at the table and beyond! 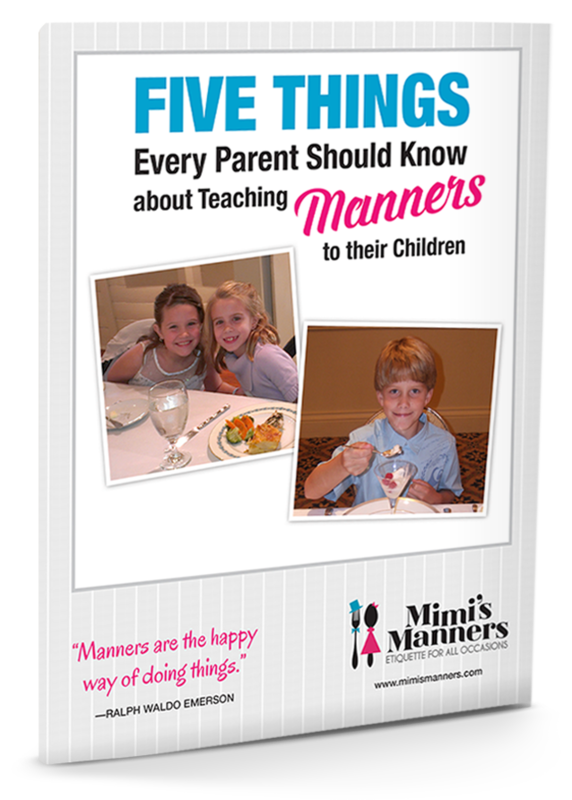 The next Mimi’s Manners class will be held Thursday, December 1 at The Ritz-Carlton, Sarasota from 6 – 8 p.m. in the restaurant’s private dining room. 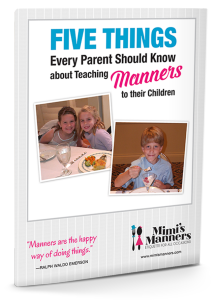 Children ages 6 – 12 are invited to attend the two-hour class where they’ll learn their “Ps and Qs” of dining, handshakes & introductions and other important skills in manners. 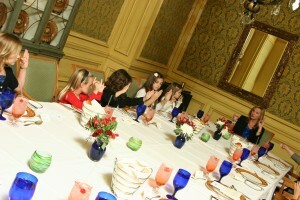 The cost of the class is $80 per child and includes a delicious three-course meal prepared by the Ritz-Carlton Chef. Children will receive a workbook, certificate of completion and with a set of good manners to help them be the best-behaved kids at any holiday function. For more information and reservations, please call 941-309-2008 or send me message at suzanne@suzannewillis.com.